Nic had been ill for some time but was admitted to UCH with pneumonia in early January. Following a second, more severe chest infection, he died in the later hours of 16th January 2013 aged 61. 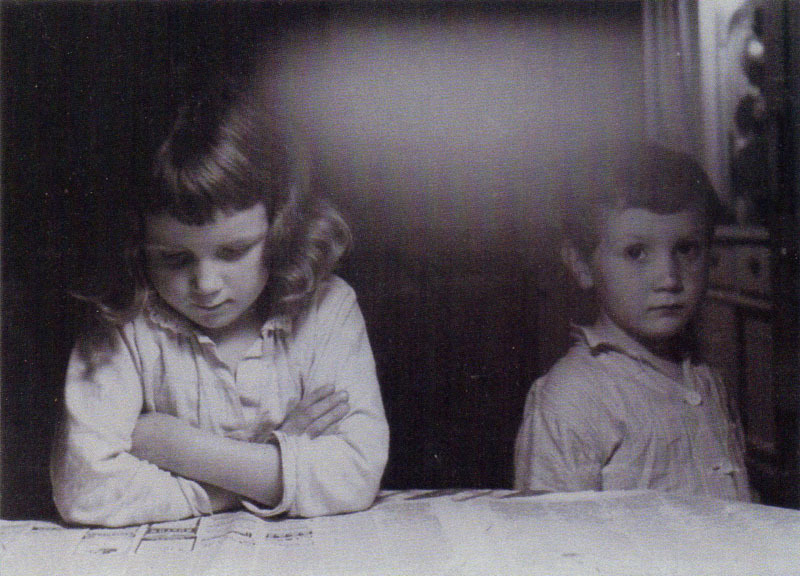 Nic had suffered from Pick's disease which is mentioned in his sister Sally's obituary in The Guardian. Nic had a beautiful and touching send off on Friday 25th January 2013 in London surrounded by family and friends. It was a fitting musical service with some of his own tracks and also a performance of part of Bach's Goldberg Variations played on the chapel organ by Hugh Banton. Friends and family delivered their personal tributes. 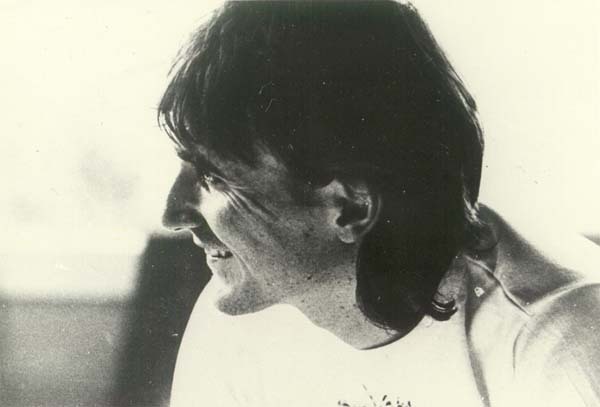 Guy Evans: "Farewell, Nic - superb musician, adventurer and much loved friend. "I'm still reeling from the news. Nic and I were great buddies and especially close since the onset of his illness. We spent New Year's Eve together and I was with him the night before he died. For once, I'm lost for words but, as a personal tribute, I would like to share this track, titled "Unfazed", with everyone. "A few years ago, Nic was due to arrive for his traditional New Year's Eve visit. I made a loop on my laptop and set up my son's bass all ready to record. I handed the bass to Nic as soon as he came through the door then hit 'record'. I then built the track around his performance. I think this is take one. You can hear all of the lyricism, playfulness and great groove of his playing." Nic was popular amongst the Italian VdGG fans and made several trips to Italy. 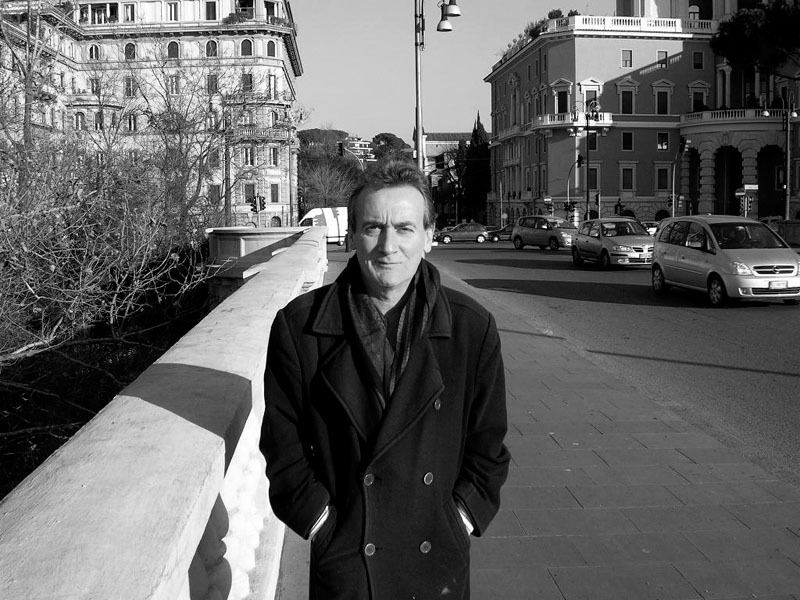 This photo was taken by Paolo Carnelli in 2006. Nic produced several solo albums with different collaborators over the years. Most can be found here. The box set released a couple of years ago sold out. "So in a football style transfer, Evans returned to VdGG, and brought bassist Nic Potter with him. Nic Potter had joined Misunderstood at the age of 16 on the same day as Evans, and when that band fell apart it seemed a shame to split the rhythm section so Potter went through the 'jamming in someone's flat' style audition, and VdGG were back a four piece." - from The Box, Nic Potter joins VdGG in September 1969. 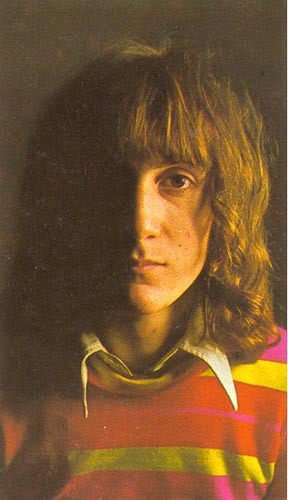 "But it was in August 1970 that Nic Potter, when the record was only halfway through (H to He, Who Am The Only One), made up his mind to leave... David Jackson, talking about Nic would later say he was a natural talent driven by instinct and capable of working out instant bass lines out of material that the other players had already been rehearsing over and over"
- Mju:zik magazine February 98, Nic Potter leaves VdGG in August 1970. Nic subsequently worked as a session musician, working with one of his heroes, Jeff Beck. He also appears on a 1970 album by Colin Scot, Magna Carta's 1971 album, "Songs From Wasties Orchard", Chuck Berry's "London Sessions" (1972) and "Somebody's Watching" by Rare Bird (1973). In early 1972 Nic was playing with The Roy Young Band who were asked to be the backing band for Chuck Berry at the Lanchester Arts Festival which took place on Feb 3rd 1972. 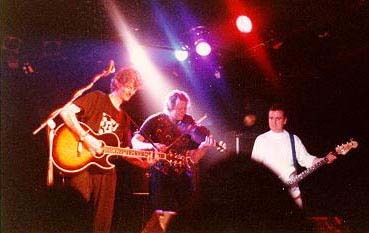 Various band members played at the gig at the Coventry Locarno which was recorded. Pink Floyd played later that evening. 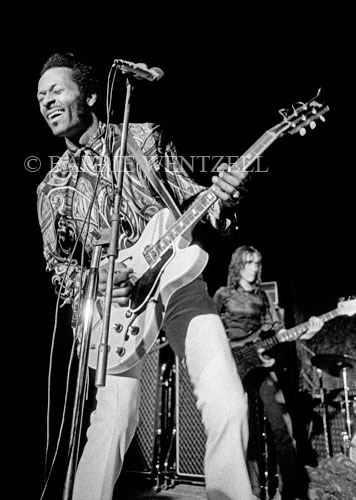 Nic playing with Chuck Berry in 1972. 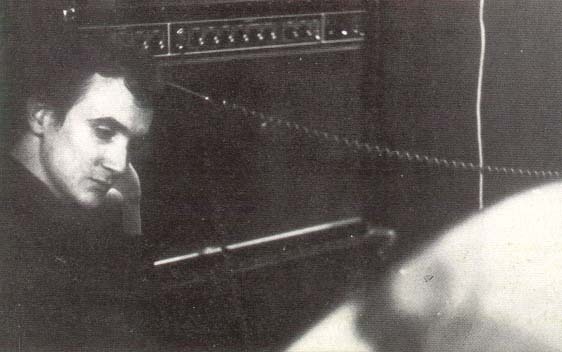 "Nic Potter says that in 1977 he dreamt about Peter Hammill 'phoning him up and asking him to join VdGG again. 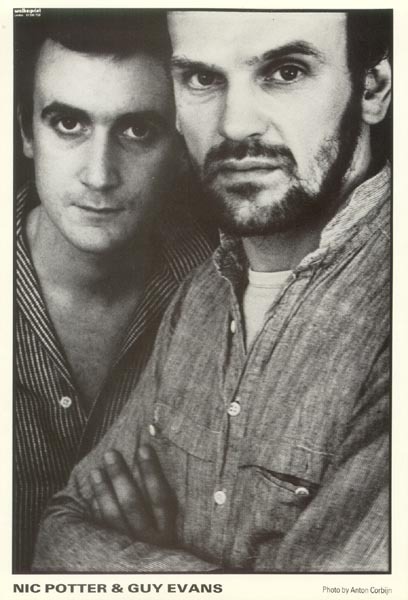 Nic didn't believe in premonition, but when next morning Hammill actually called him for a rehearsal, his opinion on certain latent faculties within our brain must have changed." - Mju:zik magazine February 98. 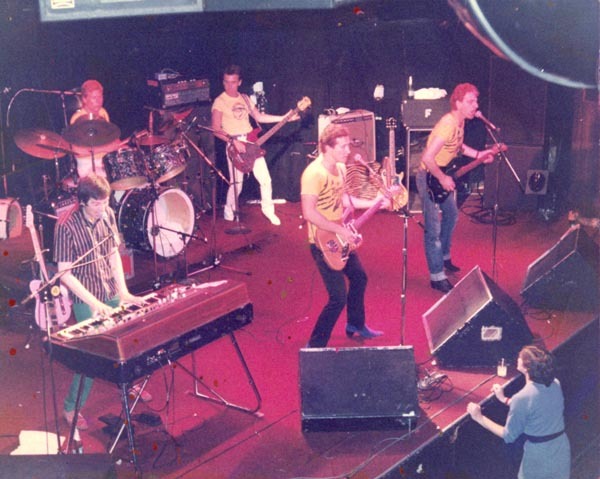 "We did a lot of jamming, and it worked very well. 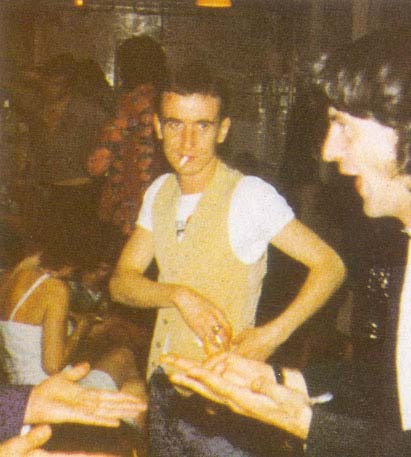 The four piece was a very powerful unit, close to the edge even, and I was developing some different bass sounds then." - Nic Potter in The Box. 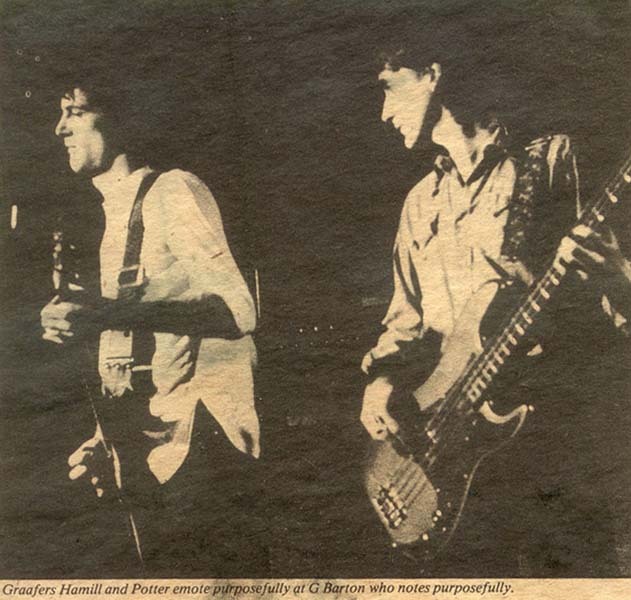 Nic Potter seen above with Peter Hammill at The Roundhouse in February 1977, Van der Graaf's first gig. See also The Live List for further information and reviews. See also the Formation of Van der Graaf and Van der Graaf Pictures pages. The Long Hello promo pics. 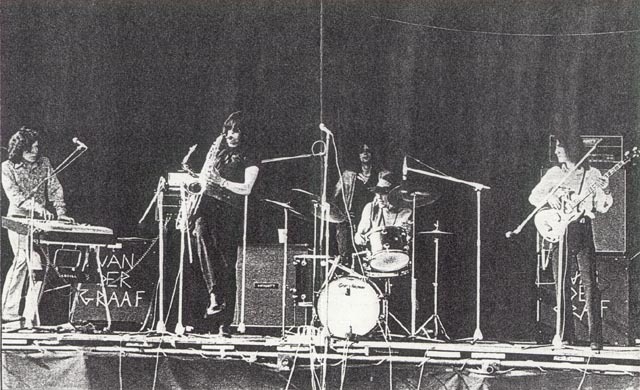 "Following the demise of Van der Graaf, Nic, with Graham Smith, joined Peter Hammill on a Canadian tour. 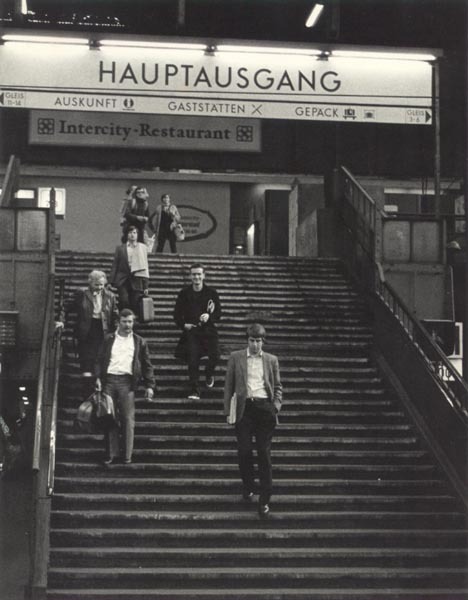 This took place in December 1978 and further information and pictures can be found on the Canada Tours page. 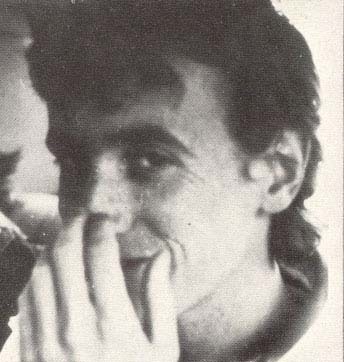 Nic subsequently returned to being a session musician, touring in the USA with, and appearing on The Tigers album "Savage Music" in 1980, before joining Peter Hammill in the K Group in 1981, as "Mozart". After the K Group he appeared on the TV soundtrack album for "Travelling Man" and on "Final Adjustments" by the Pool Sharks in 1987. 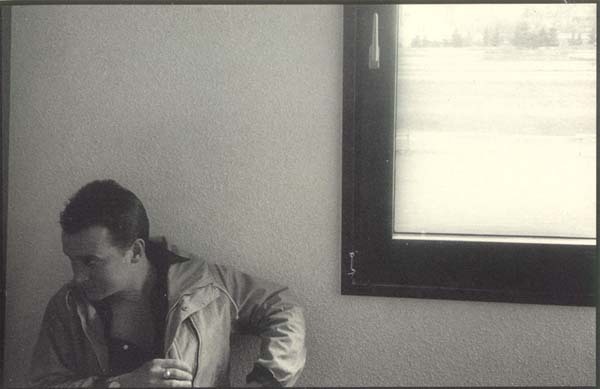 He has also produced several solo albums including "Self Contained", "Mountain Music" (1984) and "Sketches in Sound" (released 27th June 1986). 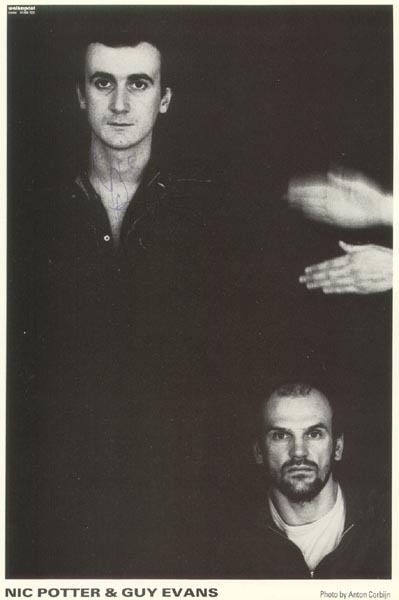 Nic seen above with Peter Hammill and Stuart Gordon in the early Nineties.